January 01 – New Year’s Day – Official Holiday Celebrate your New Year surrounded by loved ones at the Brion Square, where you can enjoy good music and a spectacular firework display. 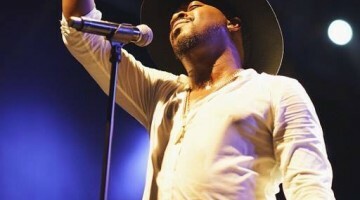 Registration for Tumba Contest -TBA Local bands register with their respective singers to participate in the annual Tumba festival held at the Curaçao Festival Center. Carnival enthusiasts await the publication of the sequence of participants. 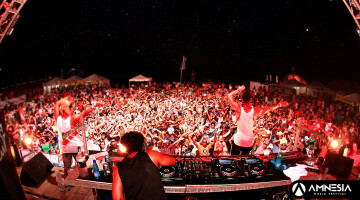 Carnival “Tumba” Festival -TBA Thousands gather for four nights to support the most popular bands, composers and singers during the largest song festival of the island. Here they elect the ‘Rei/Reina di Tumba’, with its winning song, which the carnival groups dance to during the Carnival parade. February 12 – Horse Parade – Stunning horses and carriages will prance in the streets of Otrobanda with their riders dressed up to match the occasion, showing off their animals and their skills. February 19 – Children’s Carnival Parade – During this parade, the local children, from toddlers to preteens, march through the streets of Otrobanda during their own colorful parade. Feb. 24th -Teen Carnival Parade High School students and teenagers also get to enjoy their own Carnival Parade that also goes through the streets of Otrobanda. 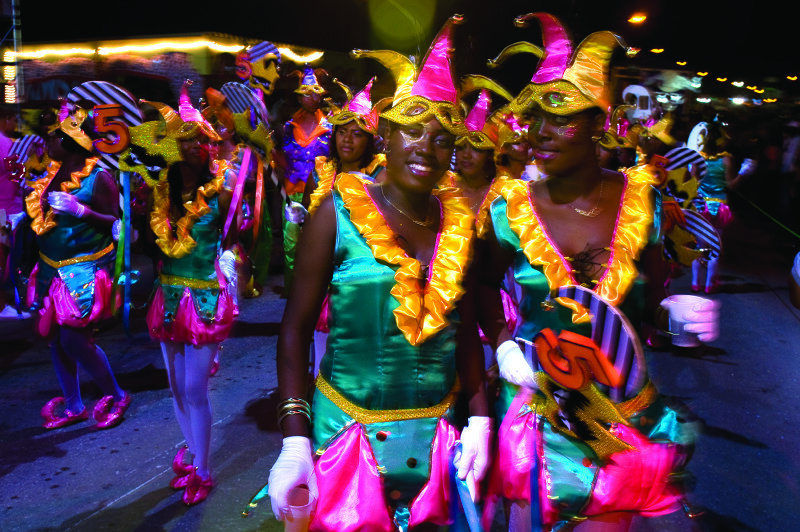 Feb. 25th – Carnival Parade at Banda’bou A full day of partying takes place in the streets of Banda’bou. Feb. 26th – the ‘Gran Marcha’ or the Grand Parade. Thousands of participants, accompanied by musical trailers and colorful floats, show off their fantastic costumes and strut to the music of the road march. Along the 10 km route, spectators dance and enjoy the pageantry. February 28 – The Farewell Parade The Carnival season gets its last hurrah with one final parade. During the nighttime procession, the floats are decorated with lights and at midnight, the King Momo idol is burned to please the gods. Do note that all dates are tentative and are subjected to changes, so check out curacaocarnival.info for more updated information. 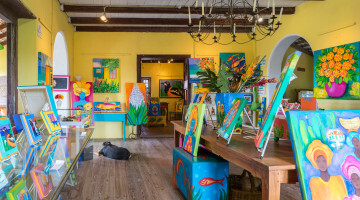 Every other year, a ten-day art festival is organized, where local and international artists paint outdoors at various locations in Curaçao and the art is continuously exposed in several homes, galleries and museums. 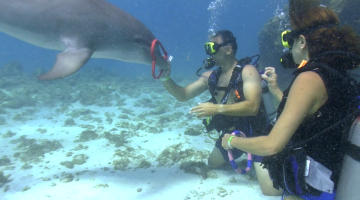 Several workshops are also given by international and local artists and artistic divers can also learn to paint underwater. On the last day of the festival, the Downtown Management Organization (DMO) will transform Punda into an artistic paradise by organizing a big Street Fair. 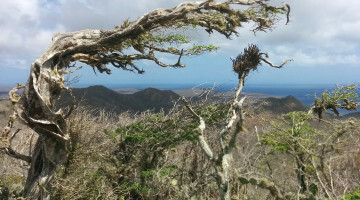 Check out www.pleinaircuracao.com for more info. 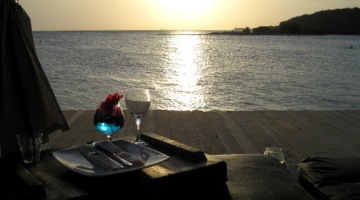 April 5th to 9th – The Curaçao International Film Festival Rotterdam. The sixth edition will again showcase the movies and short films of international and regional independent filmmakers, while giving the local filmmakers an opportunity to exhibit their work. 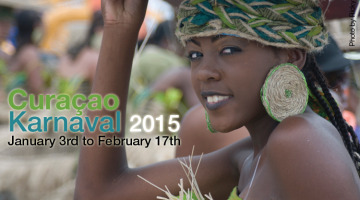 Check out www.curacaoiffr.com for more information. April 6th to 8th – Curacao Masters – MCB Curacao Master/ Pro-Am Golf Tournament -The 2017 edition of the MCB Curacao Master is one of the largest golf tournaments of the Caribbean and will be held at the luxurious Blue Bay Resort. 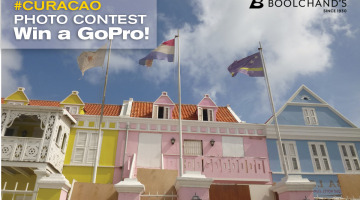 Again, some of the world’s best players flock to Curaçao to measure their dominance on these elaborate grounds. 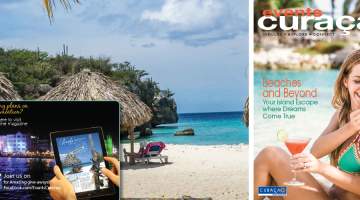 Visit curacaomasters.com for more information. Catholics observe this official holiday and marks the beginning of a week long spring break. 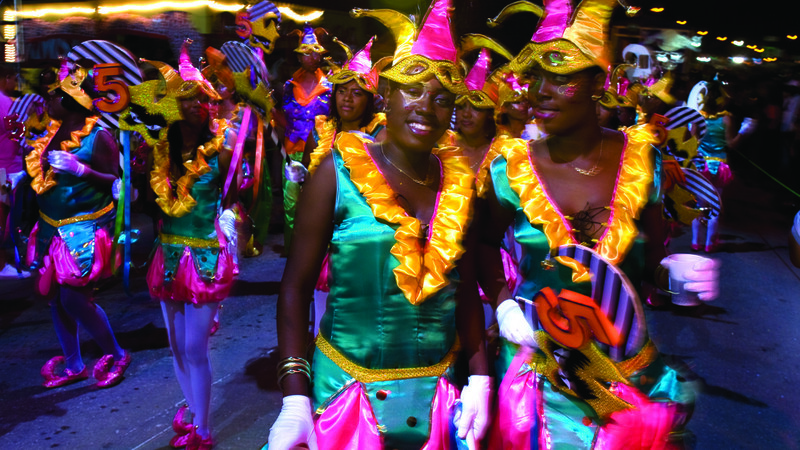 The Seú or Harvest Parade is the second largest parade of the island, where the streets of Otrobanda are again transformed into a euphoric display of folklore and groups dance through the streets to celebrate the harvest. 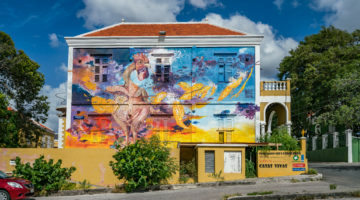 All through the Dutch kingdom, King Willem Alexander celebrates his birthday in a festive atmosphere, and in Curaçao, the locals organize the largest flea market in downtown Punda, accompanied with live performances. 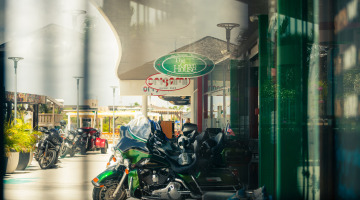 Every year, the International Drag Fest hosts drivers from the Netherlands, Puerto Rico, the Dominican Republic, Colombia, Venezuela, Aruba, Bonaire and Curaçao, who compete during ten automobile and five motorcycle categories. 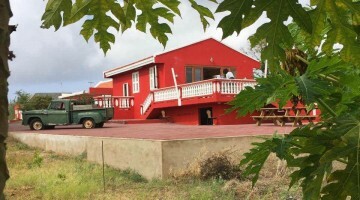 It is organized at the Curacao International Raceway, located at Ronde Klip, Curacao. 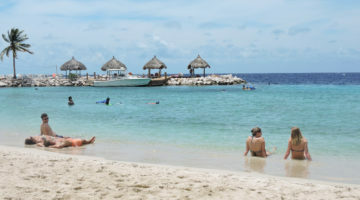 Visit curacaodrag.com for further details. During the 7th edition, held on the scenic premises of the Santa Barbara Golf & Beach Resort, the ultimate athlete can test its physical endurance by swimming 1.5 kilometers, bike 40 kilometers, to finalize with a 10 kilometers run. 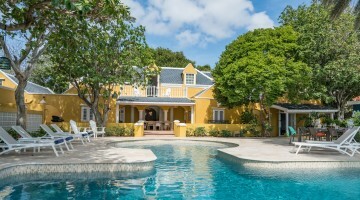 Visit triathlon-curacao.com/olympic for more details. 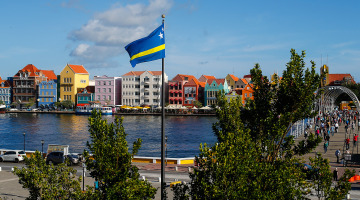 During this official holiday, the Curaçao Flag is commemorated with official ceremonies and cultural events at Plaza Brion and the village of Barber, in addition to many food festivals and neighborhood get-togethers. The 1795 slave uprising, led by local hero Tula is commemorated with music and cultural presentations at the waterfront at Rif and the popular ‘Ruta di Tula’ that ends at Landhuis Kenepa, Banda’bou. 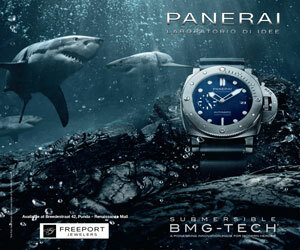 For more information call Fundashon Parke Nashonal at +5999-5630358. 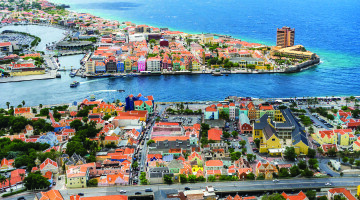 For the fifth edition of Curaçao Clean Up, over 2000 citizens go out in teams to clean our island, in order to make a positive impact on the environment and educate the population about the importance of preservation. 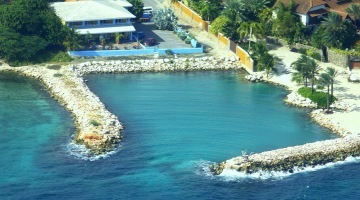 Check www.curacaocleanup.com for more information. 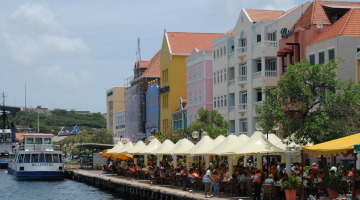 During the public holiday, the fact that Curaçao obtained its autonomous status within the Dutch Kingdom is commemorated. During the fourth edition, which will take place at the end of November, runners from over thirty countries, will start at the Lions Dive & Beach Resort and conclude the race on the beach with an awards ceremony and star-studded after party. The weeklong event aims to promote baseball on our island and bring the youth closer to their local and international baseball legends. The kids also participate clinics and fans get an opportunity to collect signatures and take pictures with their baseball heroes. In addition, several coach seminars will be organized for the local baseball coaches. Check out www.curacaobaseballweek.com for more information.